Attached, please find the updates to my book, Food Sake Tokyo. The bottom link is a PDF to the complete updates. Ginza Harutaka has moved to Ginza 8-3-1, Ginza Tokiden 6F. 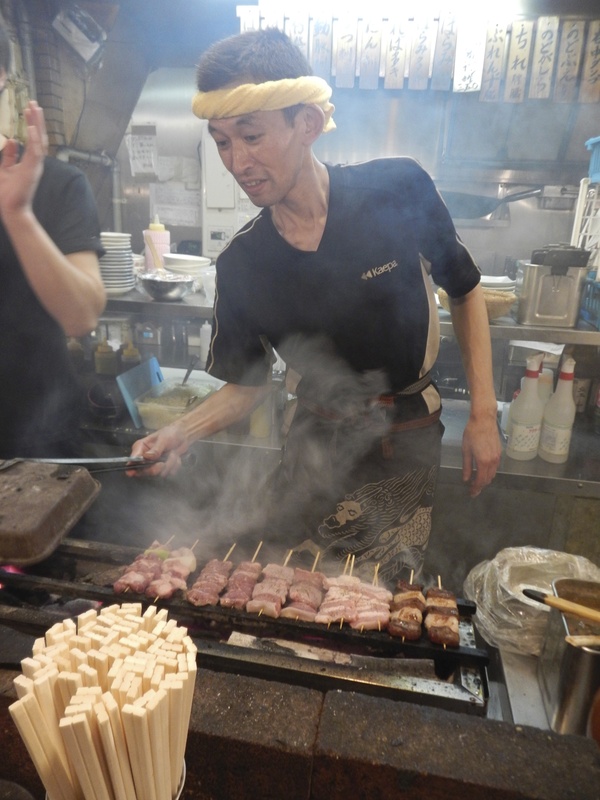 To keep our readers up-to-date with the Tokyo food scene, I will post from time to time some news about what’s happening in the metropolis. 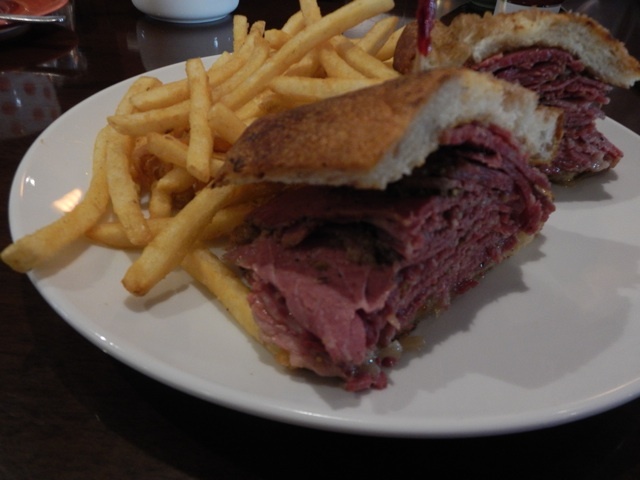 Keeping a finger on the pulse of cuisine here is hard, so I hope this helps you to know what you should have on your food radar. Takashi Saito will be opening Taka by Sushi Saito in the St. Regis in Kuala Lumpur this spring. I hear the counter will be twice as big as the Tokyo main shop, so maybe it will be easier to get into? Sushi Saito in Roppongi is one of the hardest reservations to come by, harder than Sukiyabashi Jiro. 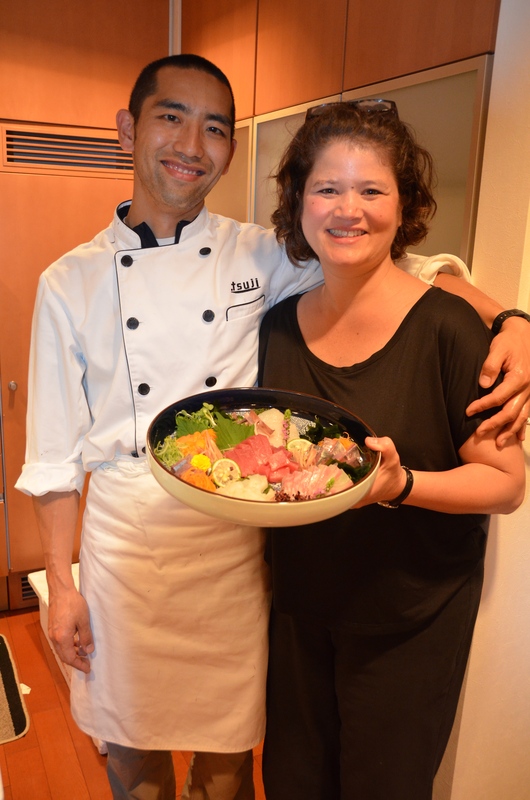 It was great fun showing Phil around some of my favorite Tokyo spots, including chef Zaiyu Hasegawa’s Den. I don’t want to say too much more. You’ll have to see the show. Phil also travels to other cities around the world. He’s a lot of fun and his commentary is great. The show premieres on September 28th. Let us know what you think about it. Ito-ya Ginza has reopened its original store. 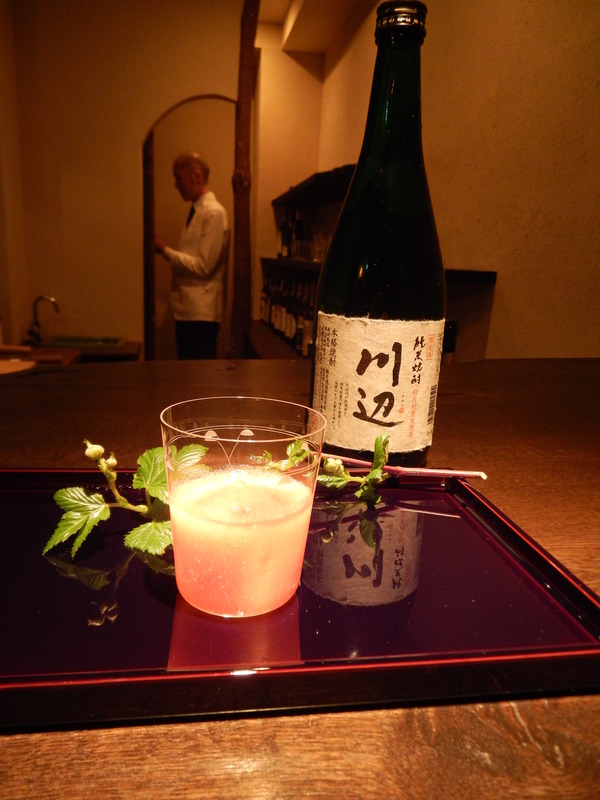 That and other updates to Food Sake Tokyo on the PDF below. Please print and bring with your copy of Food Sake Tokyo. Current as of 6 July 2015. 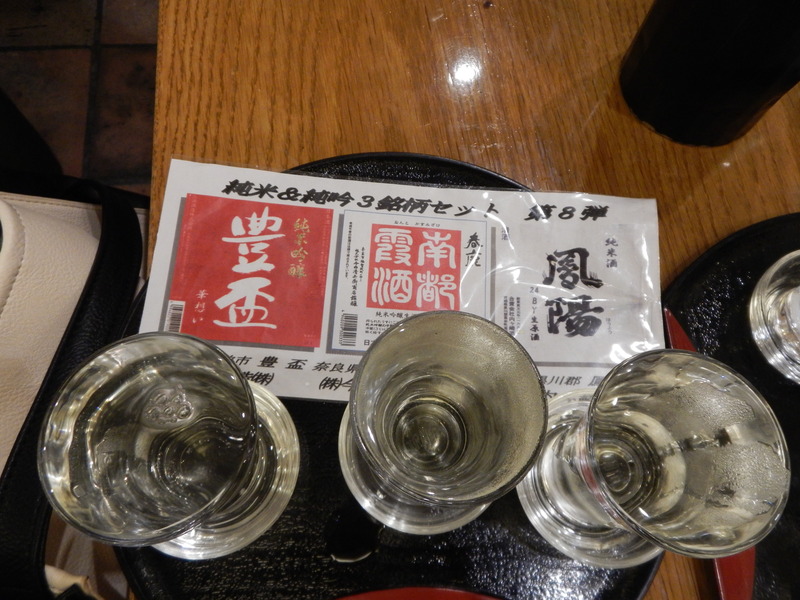 Food Sake Tokyo Updates 20150105. Please print and bring with a copy of Food Sake Tokyo. Current as of 5 January 2015. It is the middle of the rainy season. 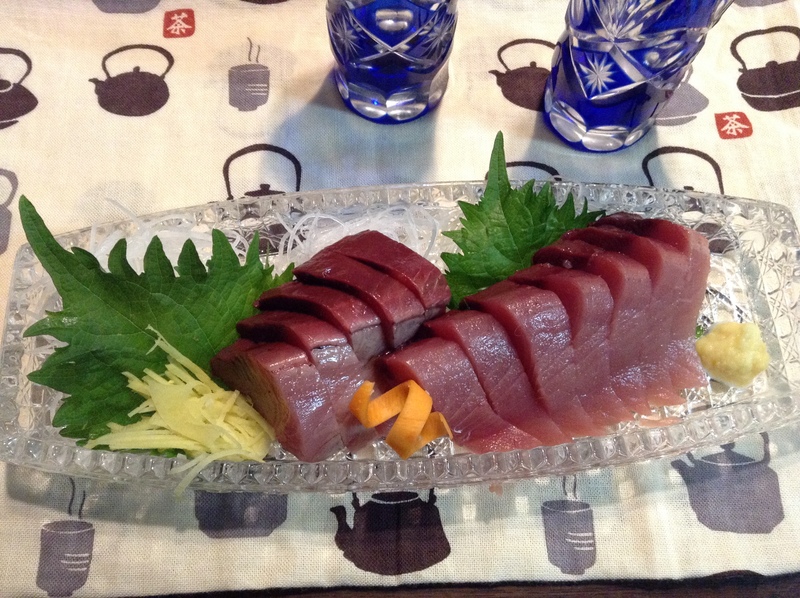 We have been enjoying katsuo (skipjack tuna or bonito) as sashimi, much fatter than usual this time of year as the fish are swimming up north. In the fall when they return south is when they will be really rich in fat. As ume (Japanese apricots, Prunus mume) are in the market we are busy making pickled umeboshi, ume jam, and sweet umeshu for an aperitif later this year. We have had some changes at our company Food Sake Tokyo, named after the book published by The Little Bookroom. 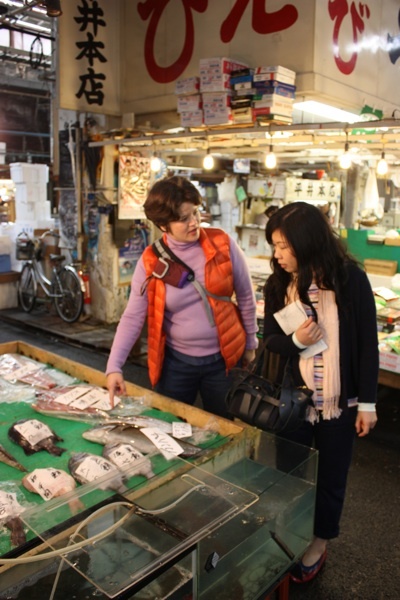 The focus of our business is our market visits to Tsukiji Market, depachika, Nihonbashi, Kappabashi, and supermarkets. 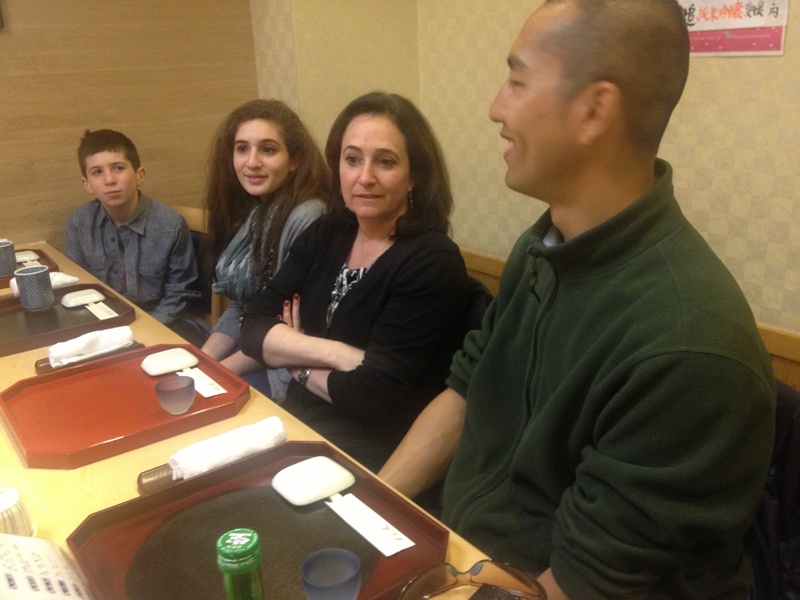 We really enjoying meeting new people and helping them to explore and better understand Japanese cuisine. We are thankful for their recommendations as we are starting to see friends of former clients as well as clients returning. We would like to open a cooking school next year. To prepare for that Shinji is taking the next year off from giving tours and is studying Japanese cuisine at Tsuji Culinary School. 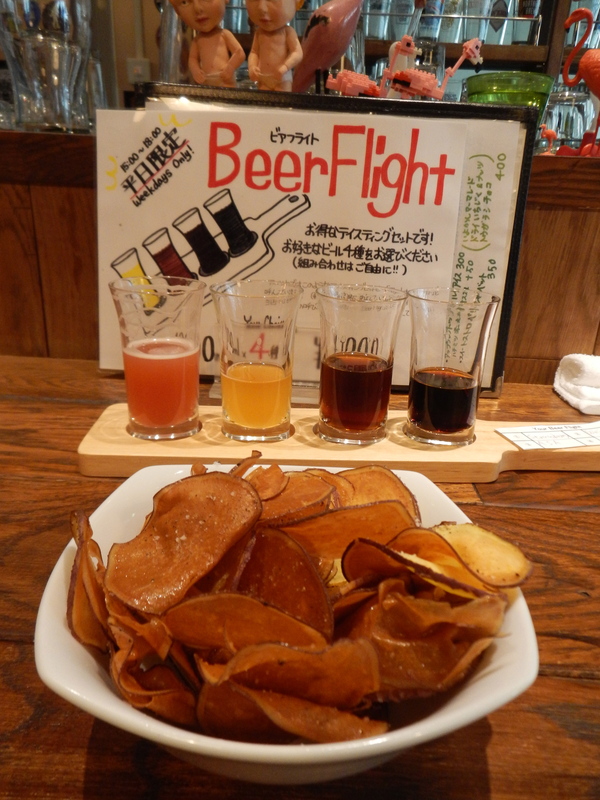 We are not offering the evening izakaya tours for the time being. There will be some changes to this blog as we start to include more recipes and tips for cooking at home along with our usual posts on where to eat and shop in Tokyo. Shinji’s studies will finish next March. Once we have found a kitchen to offer classes, we will update it here on our blog. 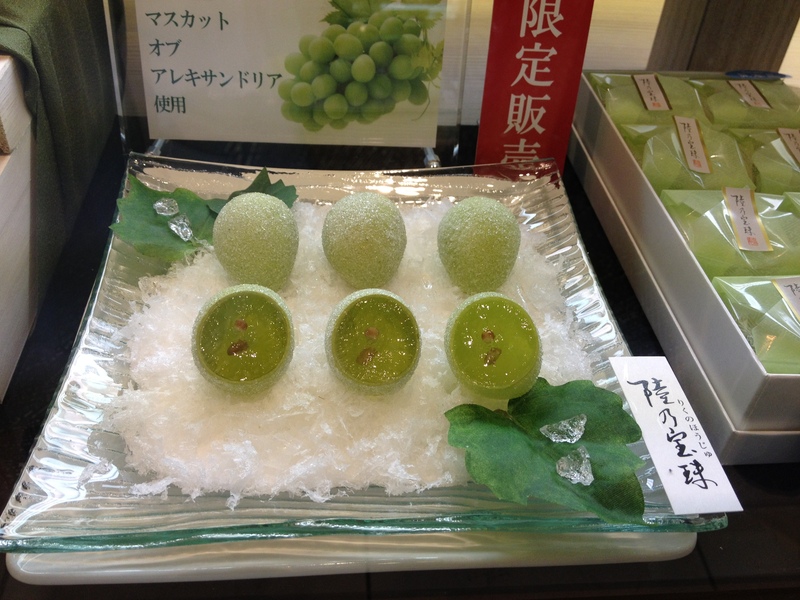 Thanks for following Food Sake Tokyo and we look forward to someday welcoming you to our kitchen. The plan is to continue offering market visits and to supplement that with cooking classes. Tokyo has been unseasonably hot this week. My favorite bowl of cold ramen noodles in the whole city is a great little dive called Sapporoya.The ramen shop happens to be across the street from one of my favorite kaiseki/kappō restaurants, Nihonbashi Yukari. I love that on this narrow street you can find two contrasting meals, both exceptional, at different price ranges. I used to work in Nihonbashi at Takashimaya department store. I came upon Sapporoya by chance one night when looking for a quick bite to eat with a girlfriend. It was summer and the cold ramen dish was tempting. The first time I had it I think I picked up the large bowl and sipped up the broth. 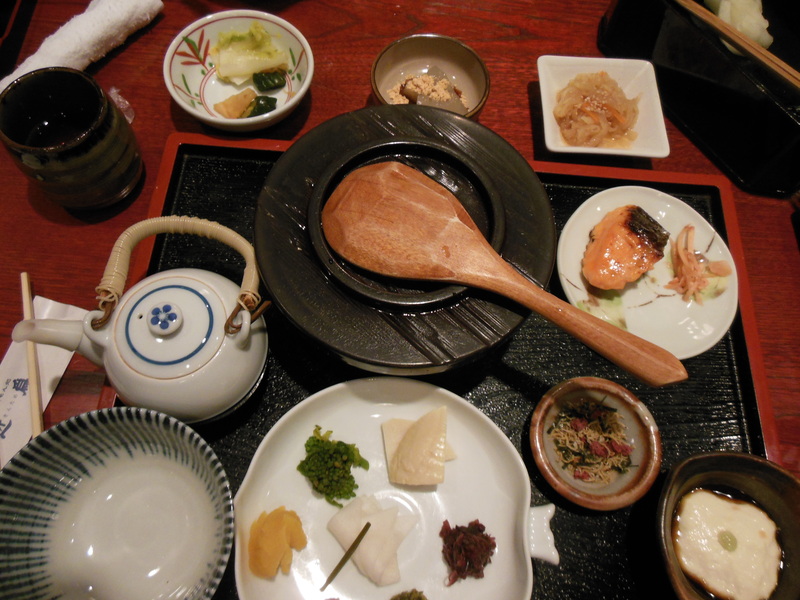 It is rich in umami and has a nutty sesame sauce that brings the whole dish together. When I went to work the next day at Takashimaya and shared my story with Yamada-san (older man who is a gourmet and introduced me to many great spots), he knew immediately of it. 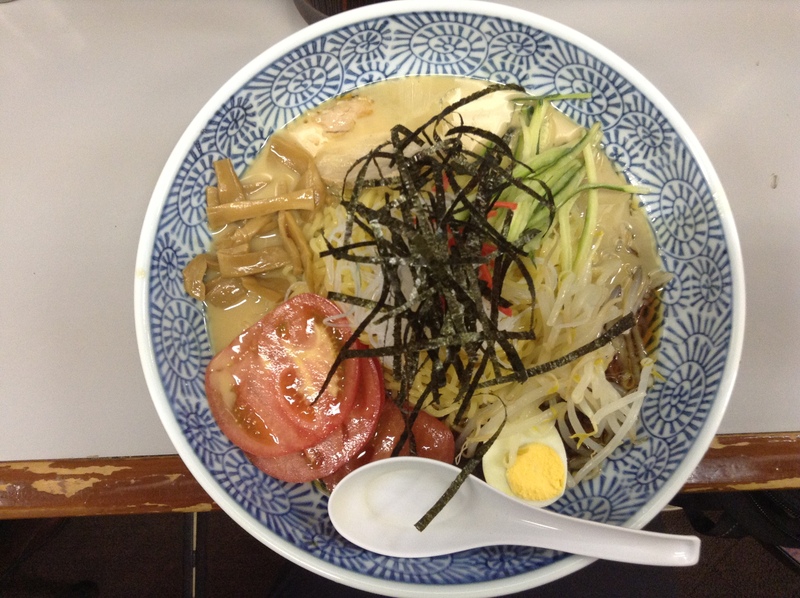 I was advised by Yamada-san that the hot bowls of ramen are also very good here. But, I am addicted to the cold ramen with sesame dressing. I stopped by this week and was so touched that the owners had remembered me. I haven’t been back in five years, but as soon as I came into the shop I was warmly welcomed. It’s a small restaurant and most of the diners are area businessmen, so I guess as a half-Japanese woman I stick out a bit. Regardless, I was happy to be back. I am very sentimental so their kindness in welcoming back to the shop almost brought tears to my eyes. The dish is still as I remember. Presented in a large bowl, rich with toppings, and still with lip-smacking sauce. I no longer pick up the bowl at the end, but the thought did cross my mind. When you come into the store you place your order with the cashier. For this dish, be sure to ask for the hiyashi chuka goma dare. I don’t care for Japanese mustard so I also request karashi nuki. Sapporoya is just minutes from Tokyo Station on the Yaesu side. 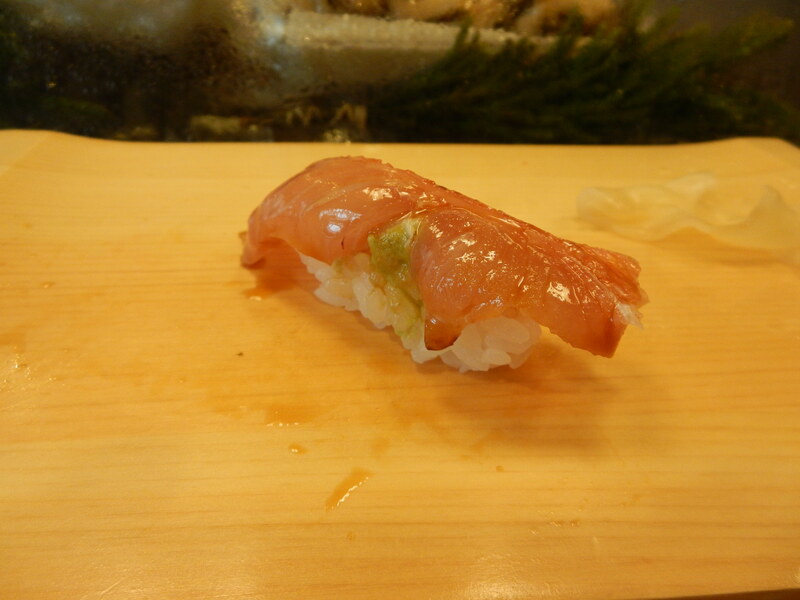 and introduce you to a new sushi neta, like kinmedai (splendid alfonsino) that is pink, slightly sweet, and is succulent. Introduce you to a wide variety of Japanese pickles. or to a bar serving craft beer and sweet potato chips. 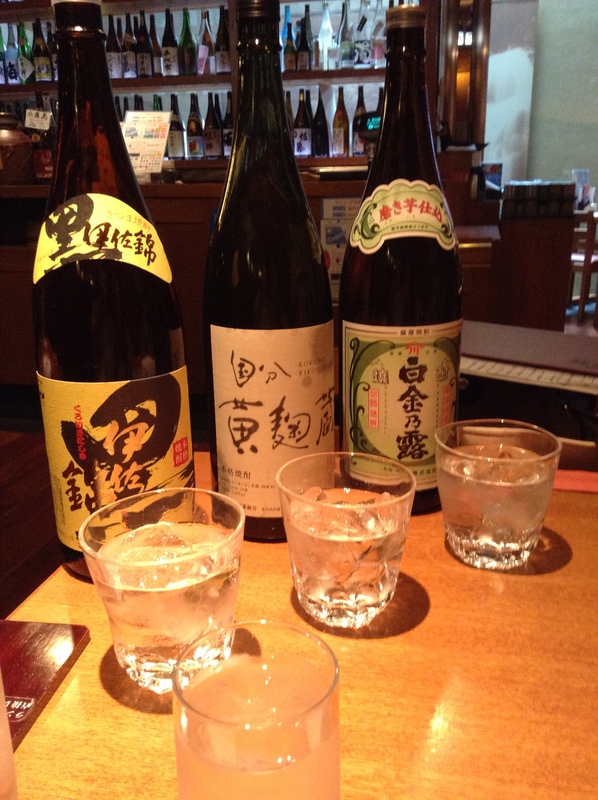 or through the native distilled spirit, shōchū. Yukari was the first non-Japanese to pass the shōchū advisor exam. 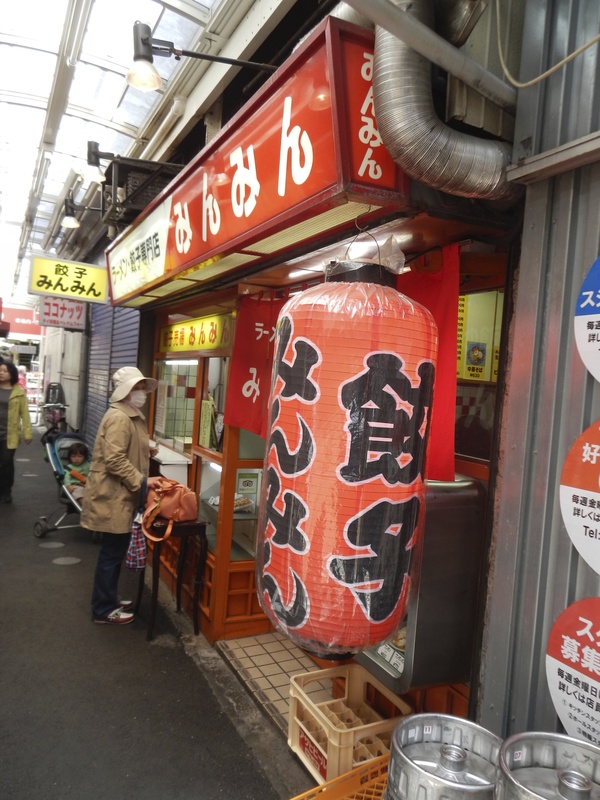 Food Sake Tokyo guides are a chef and Japanese fishmonger. We are Tokyo’s food guides. Please contact us here for more information on our market tours. 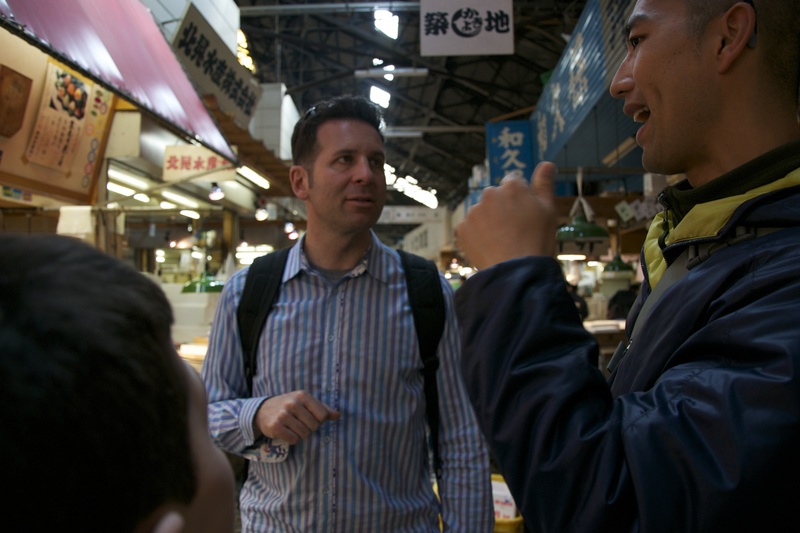 Tsukiji Market, the world’s largest seafood market, is in the heart of Tokyo. It is a short walk from the glitzy Ginza shopping district and just minutes from the renovated Kabukiza theater. It’s one of Tokyo’s most popular tourist destinations with visitors. 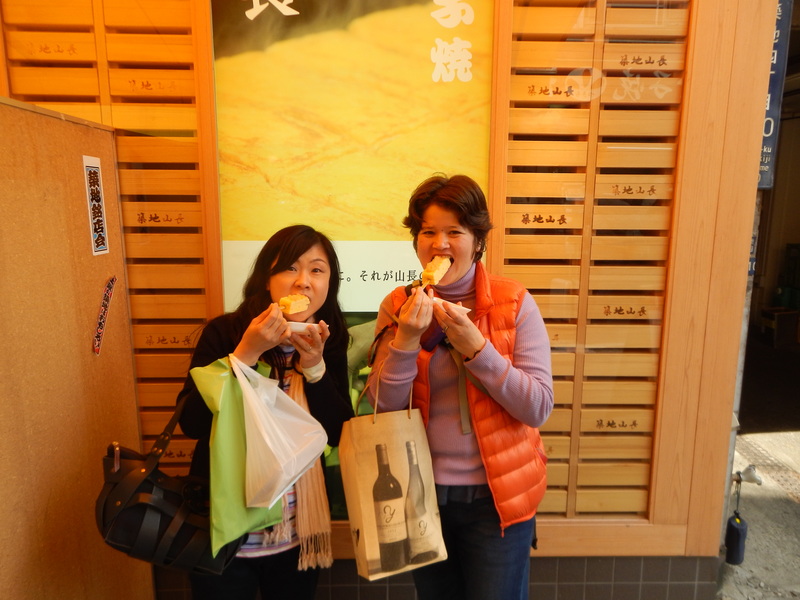 And, it is our most popular tour that our company, Food Sake Tokyo, offers. 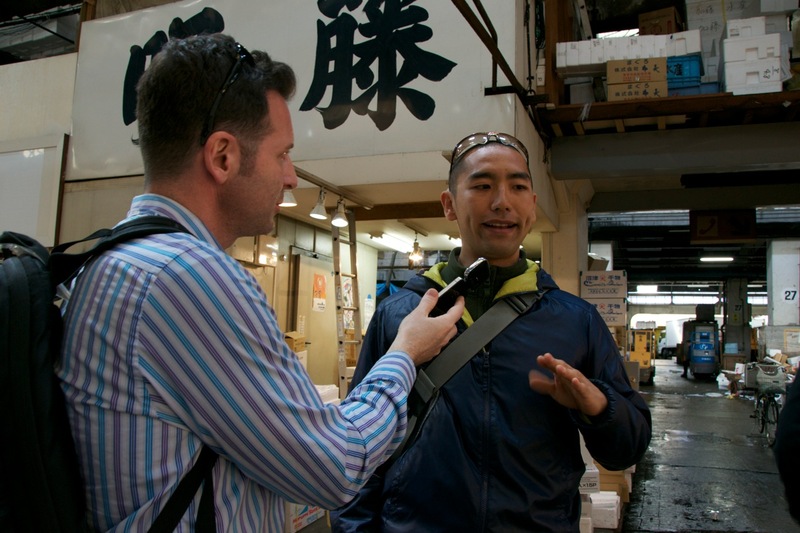 Shinji, a Japanese fishmonger, used to be a buyer at Tsukiji Market so he offers an insider’s perspective to the market. Tsukiji Market is scheduled to move to Toyosu, a few kilometers down along Tokyo Bay. Another reason to come and see this historic market before it moves. Shinji is able to talk about all of the seasonal seafood, how it’s prepared, and what it the texture is like. 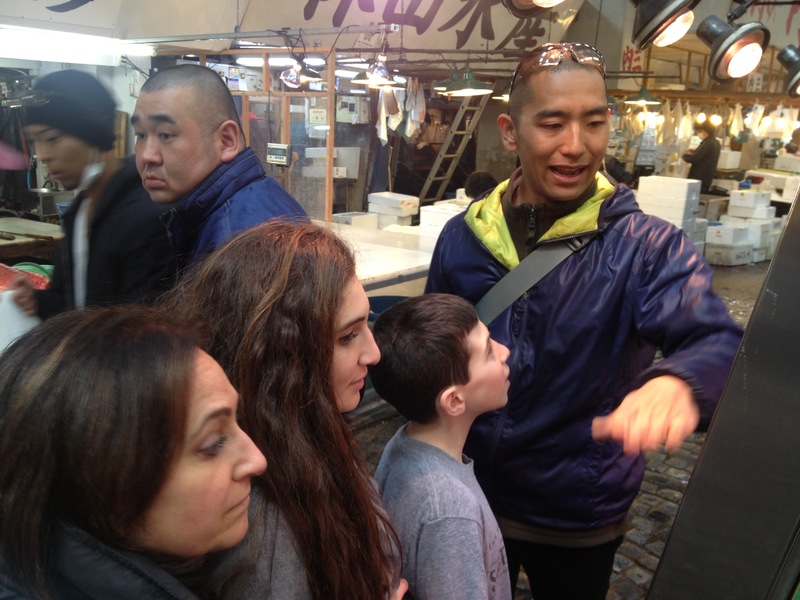 Shinji’s tour focuses on the inner market which is the wholesale area for seafood. It is here that he worked as a buyer. 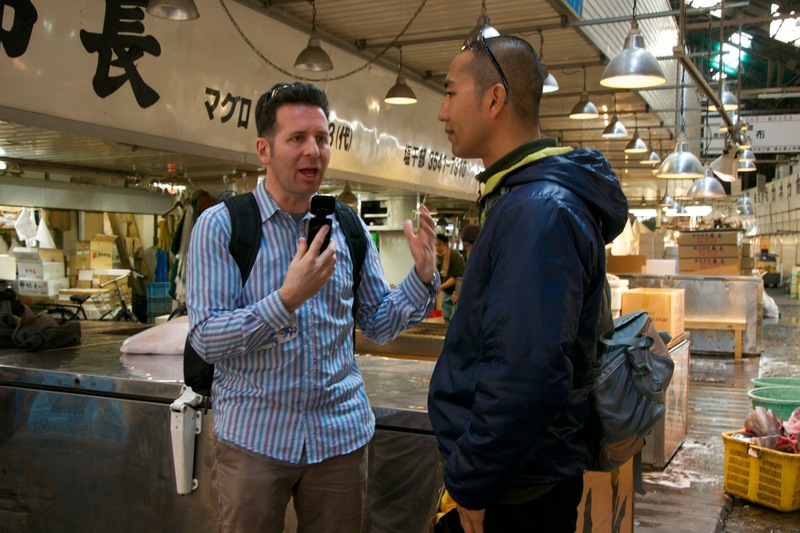 It’s a crazy place to navigate and to really understand what is here and what is what, you need a guide who understands Japanese seafood. One thing you will notice is that there is no stinky fish smell that you find at most fish markets. The fishmongers are very careful to clean and wash down each stall when they close down shop. At the sushi counter Shinji is able to make recommendations on unique seafood that you most likely won’t be able to try at home. 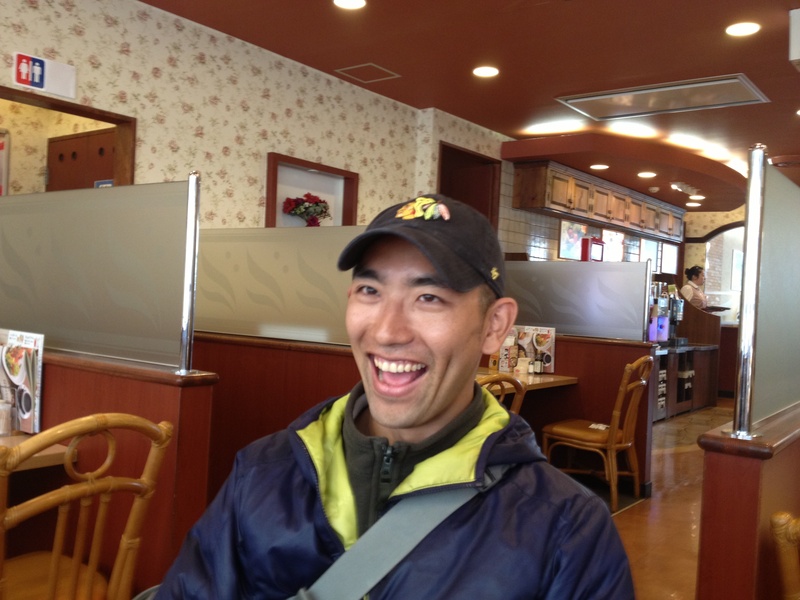 He can also help to demystify the culture of dining at a sushi-ya. This time of year we are crazy for kinmédai, alfonsino, which is a pink fleshed fish. 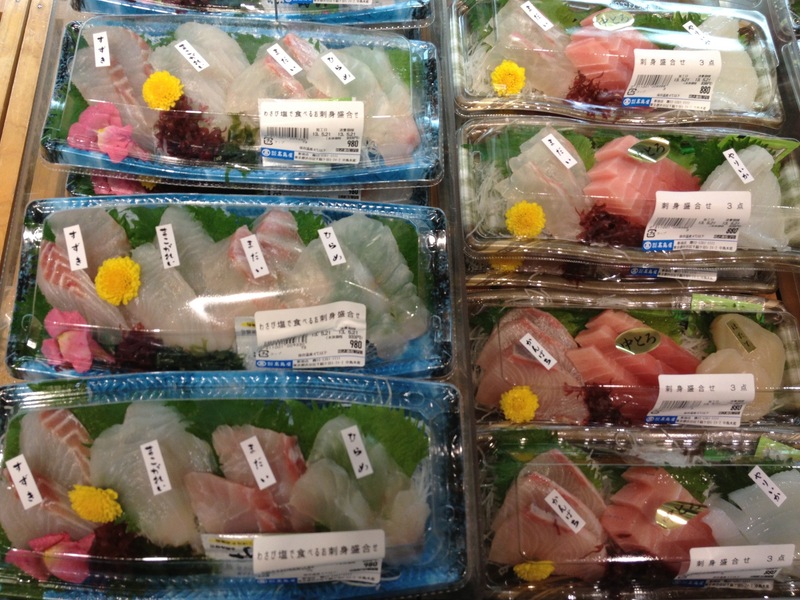 The best kinmédai, are harvested from the shallow waters near Chōshi port in Chiba. 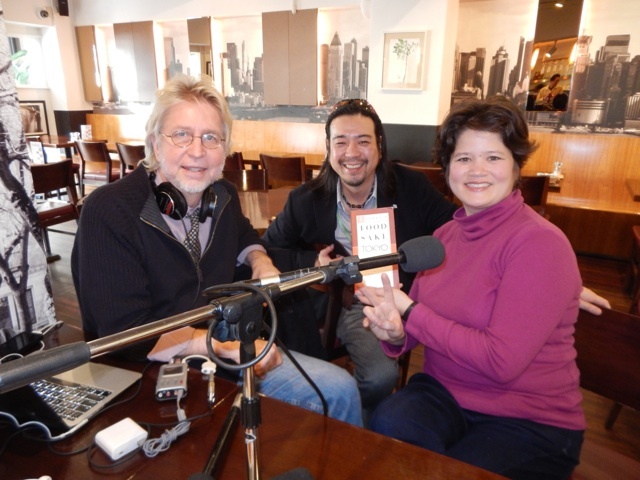 Steve Dolinsky writes about having kinmédai and includes a photo here. I have to say, most fishmongers are very friendly and have big smiles – just like this one! 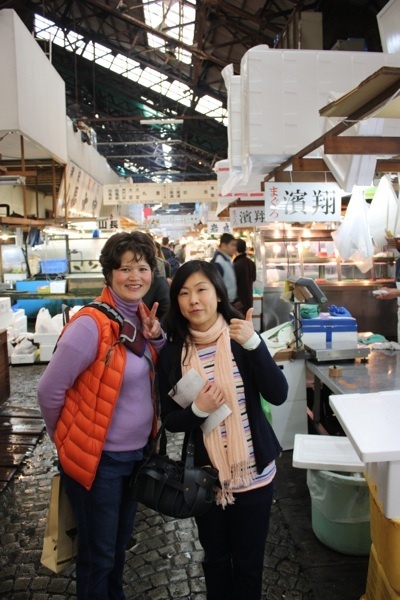 I also offer tours of Tsukiji Market. The focus of my tour is the outer market which is open to the general public. It is filled with stalls selling produce, pickles, prepared foods, tea, knives, and much more. 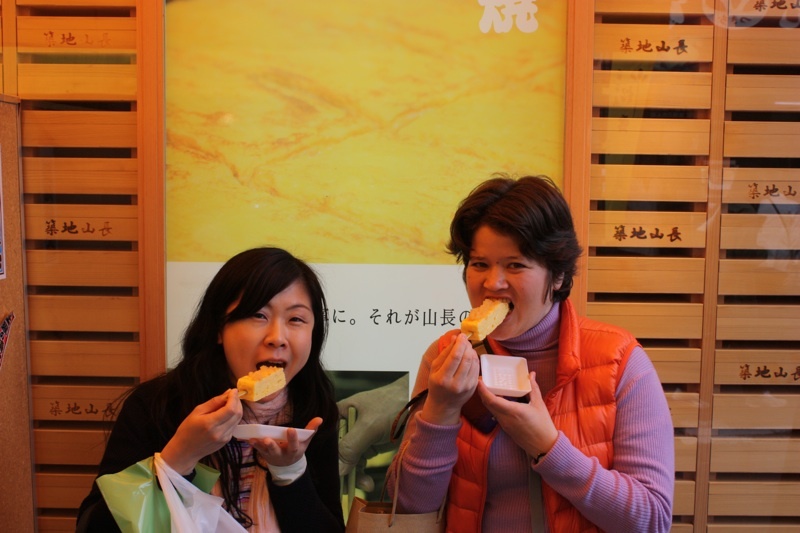 We are enjoying tamagoyaki (Japanese omelet) on a stick. Reminds me of the Minnesota State Fair – the food on a stick part. I also take clients into the inner market so that they can get a feel for the heart of the market. Here we are looking at fish killed by a special ikéjimé process. The many stalls of the inner market – and the perfect spot for a photo. 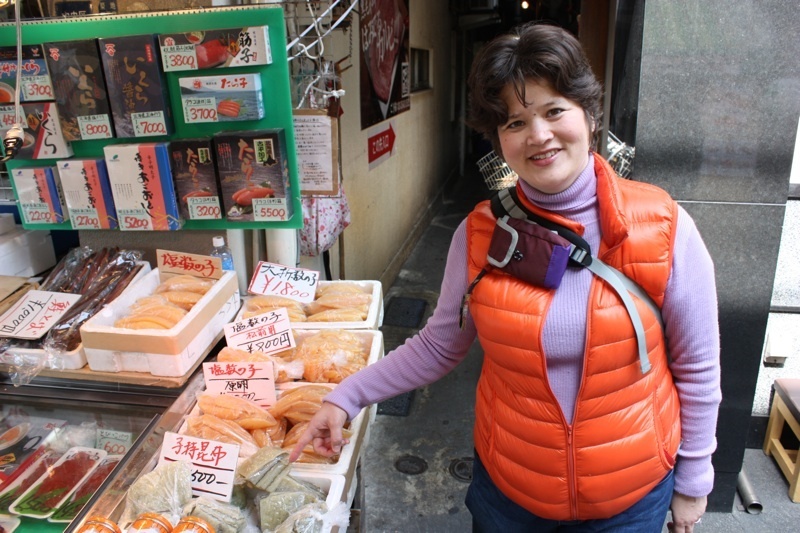 There is lots to discover at Tsukiji, including learning about herring roe in a sac, and herring roe that has been laid on a piece of kombu, komochi kombu. 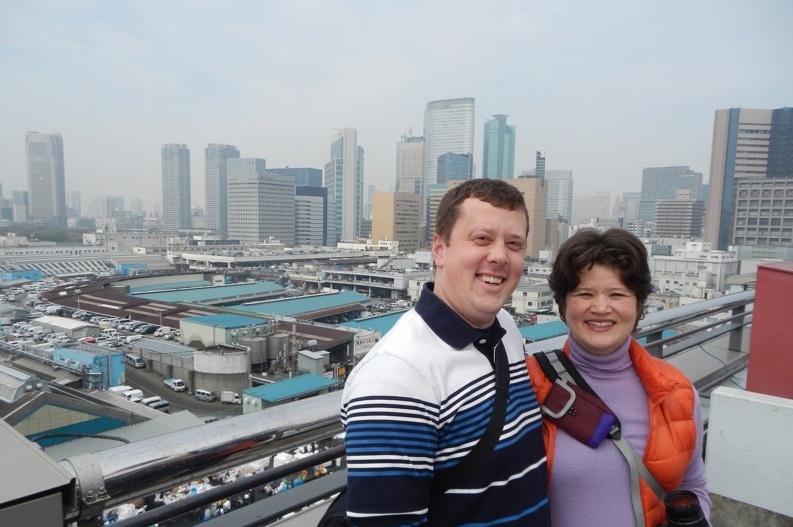 The view everyone loves – overlooking the inner market and Tokyo Bay. 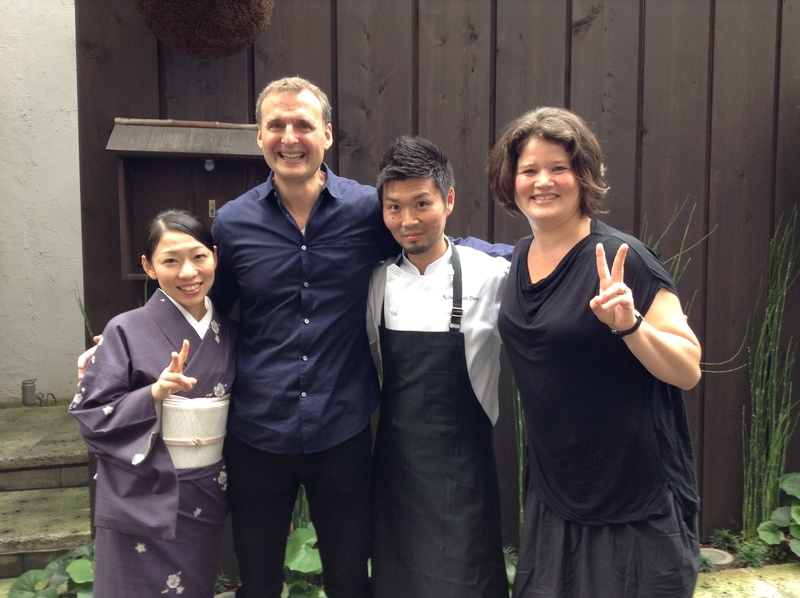 We look forward to welcoming you to Tokyo and to Tsukiji Market. Here are more details on our tours. * A special thanks to our clients for letting us share their photos with you. Here is Tommy Aoki’s MetPod. He talks about the United Tastes of America competition.